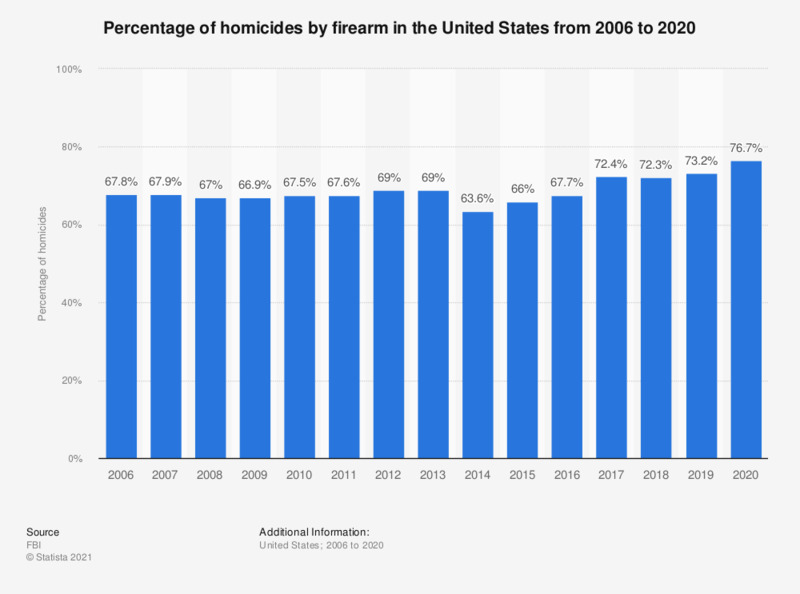 The statistic shows the percentage of homicides by firearm in the United States from 2006 to 2017. In 2017, about 72.59 percent of all homicides in the United States were committed by firearm. Percentages have been calculated by Statista.